is it *in* me, or is it *just* me? post about whether or not I view my chronic illness at part of me, or as separate for me. Talk about how Jessica’s post on monsters, and my feelings that my depression was a part of me, whereas I feel like my chronic physical illness isn’t a part of me, it’s like being in an abusive relationship, a bit. Posted on April 15, 2017 April 15, 2016 Categories uncategorizedLeave a comment on is it *in* me, or is it *just* me? Do you have cats? Do your cats shed so much that you could make kittens out of the excess fur? Then you need a Furminator! We thought it worked OK. It got hair off of the cats. Though somehow, we always had a ton of hair on the floor the day after vacuuming. Being a life-long pet owners, we just assumed that that was par for the course with long-haired pets. No matter how much you brush, there will be fur everywhere. It was just a matter of how much. Our brush broke recently, and with Spring being in the air, the cats have started shedding as though their mission in life is to cover everything in our home (including us) with a thick later of winter cat fur. So I went on Amazon to find us a new brush. It doesn’t look like much, but it’s worth every penny. No only does this brush pull far, far, FAR more hair off of the cats than a regular brush, they somehow like it more, and will allow me to brush them with it far longer, and in far more tickley places, like their sides. 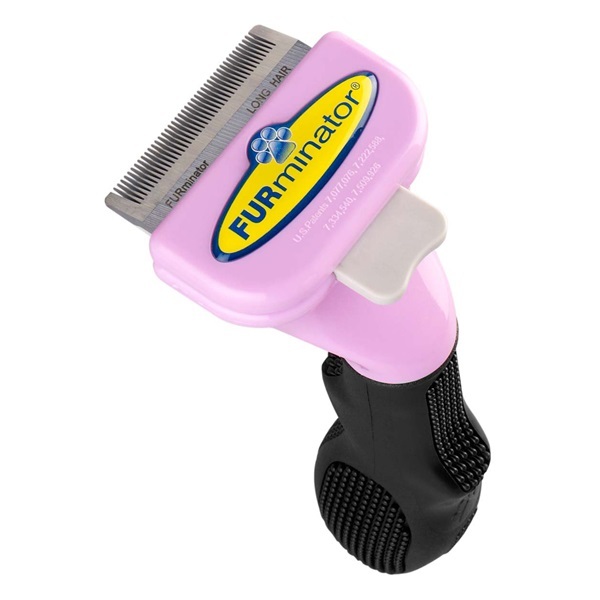 Baffled, I tried brushing my own hair with both the old brush head (which I kept until we got a replacement) and the Furminator, and I don’t see what is so much more comfortable about the Furminator (yes, I brushed my scalp with two different types of cat hair brushes. For cat science). But they’re much happier with the Furminator and I’m ecstatic about the Furminator. We’ve been using it for about two weeks, and the amount of fur on the floor has gone down to about twenty percent of what it used to be. Since using the Furminator, I haven’t seen a single clump of cat hair. Some hair still ends up on the floor, but we no longer have cat hair tumbleweeds blowing by if we don’t sweep and vacuum every other day. 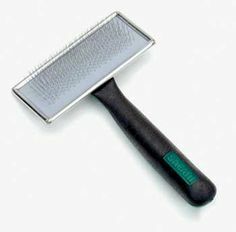 If your pets shed a lot, I definitely recommend the Furminator. It’s my new favorite product. Some things have happened. Nothing major. I’m still mostly apathetic and not really into being alive right now. Not that I want to be dead; I definitely don’t. The world is just mostly in sepia tones and I’m trying to really concentrate on the bright spots, in part because I’ve realized that I’ve still got some Lora issues to work through. When I’m not dealing with those, I’m trying to draw some color and brightness back into my life. Posted on May 6, 2016 May 6, 2016 Categories non-poly-related lifeTags health problems1 Comment on now, with migraines! I should clarify and say that means overall. If my average “I feel OK” is 50, then I feel somewhere around 40-45 in terms of how I feel overall. Definitely still worse than average. But not completely tanked. Continue reading 40ish? Posted on April 15, 2016 April 18, 2016 Categories non-poly-related lifeTags chronic illness, health problems, managing chronic disability, medicationLeave a comment on 40ish?